Special thanks to local business Plenty Mercantile for contributing to the basket! 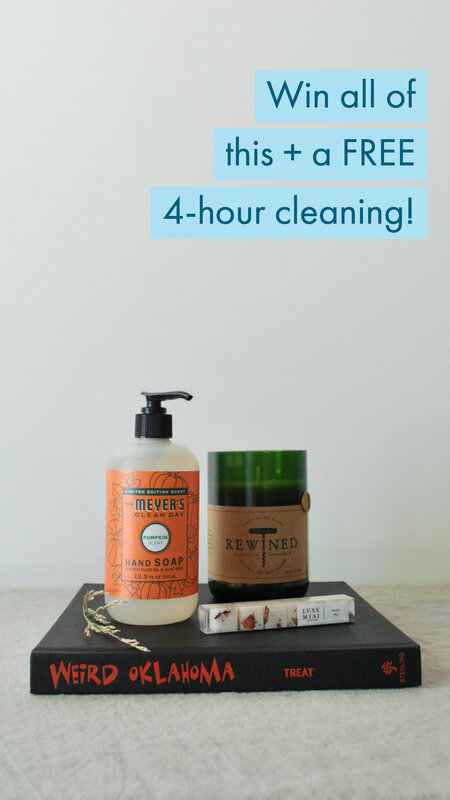 + a FREE 4 hour HIVE cleaning! Love (HYPERLINK TO POST>)this Instagram post and tag two friends who should enter! One winner will be chosen on October 22nd, 2018. Winner must live in the OKC-Metro area to be eligible. Cleaning to be used before Nov. 20th, 2018.